A bridge is a simple way to replace a missing tooth or teeth, usually by crowning one or both neighbouring teeth and joining them together. 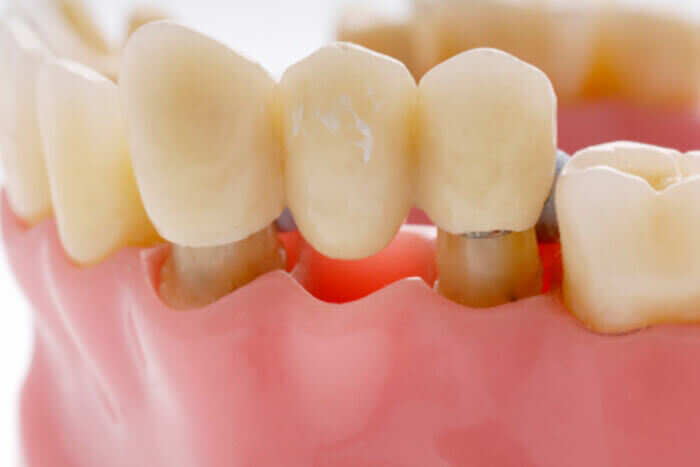 There are various types of bridge and materials they can be made of, our experienced dentists can help you decide which type is right for you. We work closely with highly skilled technicians’ right here in Auckland to fabricate all our bridges to the highest standards. If you’re missing teeth or want to replace an old tired looking bridge click here or call 09 379 7380 for an appointment.